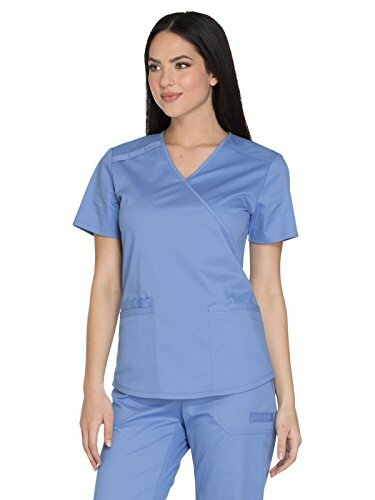 A Modern Classic fit mock wrap top features a pen/instrument loop on the right shoulder yoke, two patch pockets (the right with an interior pocket and additional loop detail, the left with a pen slot), back yoke and side vents. Center back length: 27"
Women's V-Neck, short sleeve mock wrap top. Back length: 27"
Features patch pockets, pen slot, and interior pocket.